Time: 03 May – 13 May, 2018. 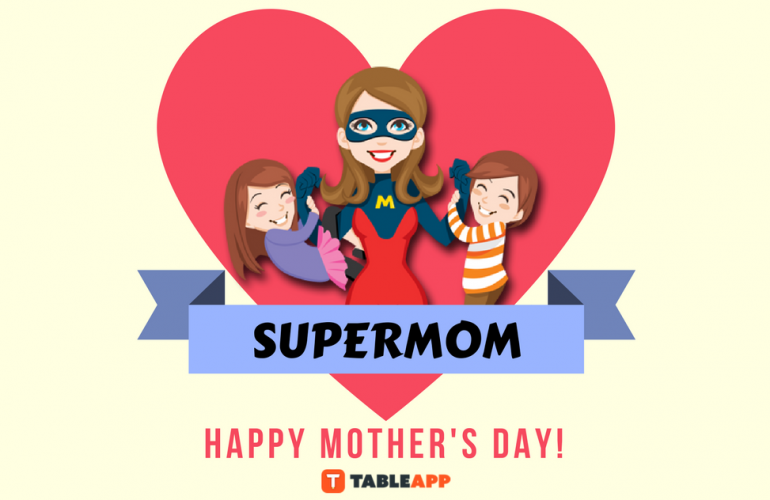 What’s Special: Treat your beloved mother to a 6-course meal including Angus Beef, Steamed Seabass, fresh seafood and more! Ploy Damansara: G-02, Ground floor, Work@Clearwater, Off Jalan Semantan, Damansara Heights. Time: 13 May, 2018, 11am – 3pm. 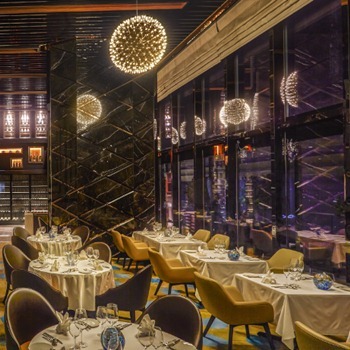 What’s Special: Head to Soleil and a feast is waiting for you! 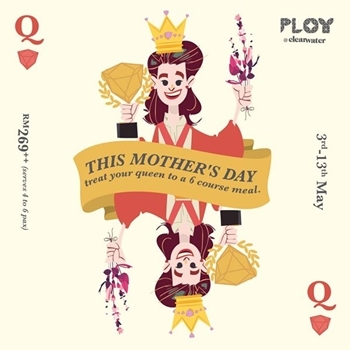 Savour Mother’s Day Brunch with unlimited order of delectable food including Starters, Main Courses and Desserts. Location: Lot 7 & 8, 2nd Floor, DC Mall, Plaza DC, Damansara City, 6, Jalan Damanlena. 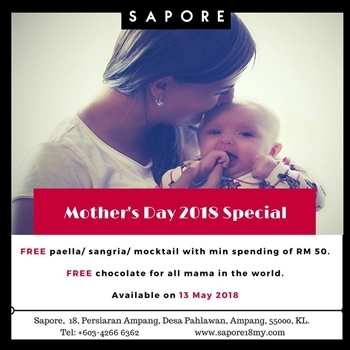 What’s Special: A Free Paella/Sangria/Mocktail for your family with minimum spending of RM 50 and free chocolate for all super mothers! Location: 18, Persiaran Ampang, Desa Pahlawan, Ampang. 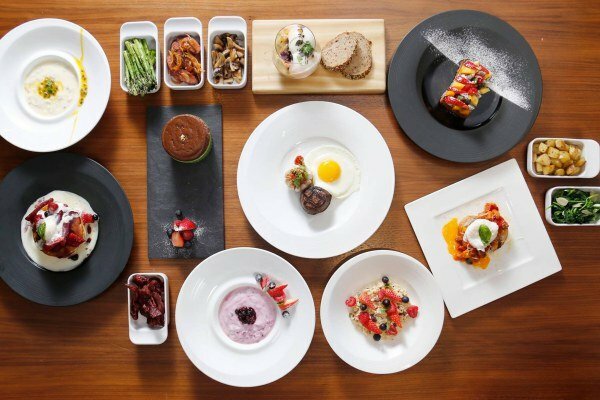 What’s Special: A Sunday Brunch menu specially curated for this Mother’s Day with the choice of seafood, Confit of Lamb Leg, Lobster Ravioli and more. Location: 5, Jalan Changkat Kia Peng. Price: RM123 nett/adult; RM61.50 nett/child. 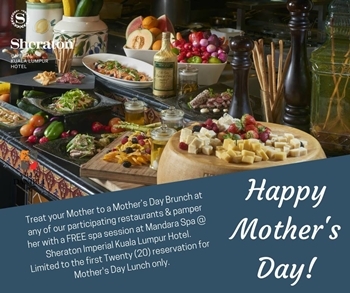 What’s Special: Make a Mother’s Day Brunch reservation & win a FREE spa session for your mother at Mandara Spa (T&Cs apply). Location: Level 1, Sheraton Imperial Kuala Lumpur Hotel, Jalan Sultan Ismail. 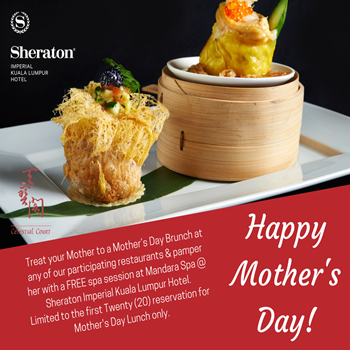 What’s Special: Treat your Mother to an Imperial Dim Sum Brunch this Mother’s Day and be the first 20 people to get a FREE spa for her. Location: Level 3, Sheraton Imperial Kuala Lumpur Hotel, Jalan Sultan Ismail. Price: RM123 nett/adult, RM61.50 nett/child. 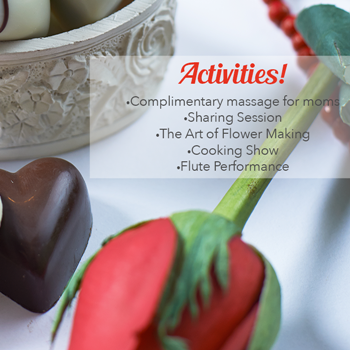 What’s Special: Treating her to an authentic Italian Brunch & stand a chance to win her a free spa session. Location: Level 5, Sheraton Imperial Kuala Lumpur Hotel, Jalan Sultan Ismail. 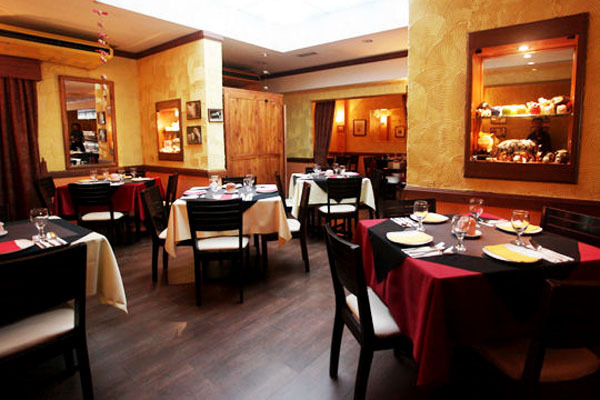 What’s Special: Enjoy a comprehensive and alluring menu of a traditional and innovative combination. For every RM500, you can get RM200 voucher for your next visit. Time: 12 & 13 May, 2018. 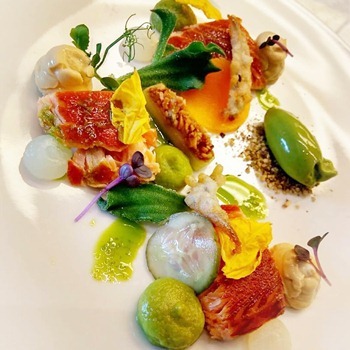 What’s Special: Enjoy 3-course set lunch, 3-course set dinner & 5-course set dinner with the best produces such as Angus Beef, Lobster or Japanese Wagyu Beef. Location: THE FACE Suites, 1020 Jalan Sultan Ismail. Price: From RM479 nett for 4 persons. Time: 07 May – 13 May, 2018. What’s Special: Delectable dishes are waiting for you at the restaurant in 2 special set menus. The set will come with a complimentary mug. Location: No. 5, Jalan U Thant. 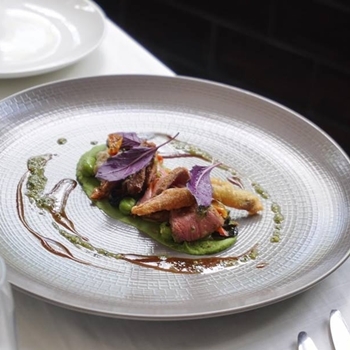 What’s Special: A 4-course set menu with Foie Gras, Seared Lobster Meat, Josper Grill Grass Fed Tenderloin and more. 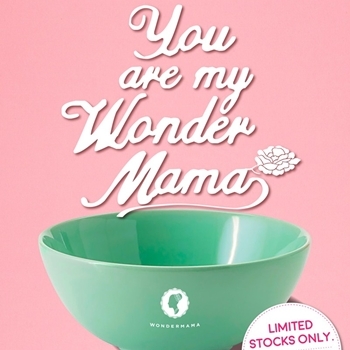 What’s Special: Savour traditional Asian cuisine and get a free Wondermama bowl with minimum spending of RM80 per single receipt. Location: G6, Bangsar Village. 1, Jalan Telawi 1, Bangsar Baru. Time: 13 May, 2018; from 5pm onwards. What’s Special: Savour an abalone, 100 gm Roasted Duck, unlimited Kurobuta and drinks of 4 festive favorites. Don’t forget to take a free photoshooting! ROCKU Yakiniku Pavilion: Lot 07.01.03, Level 7, Pavillion Kuala Lumpur, 168, Jalan Bukit Bintang. Price: RM98 nett per adult; RM49 nett per child. Time: 13 May, 2018; from 12pm – 3pm. What’s Special: A tantalizing hi-tea buffet with sumptuous foods to delight your Queen. Get a chance to win a complimentary stay at the hotel as well! Location: Pullman Kuala Lumpur Bangsar. No. 1, Jalan Pantai Jaya, Tower 3. Time: 13 May, 2018; 12.30pm – 4pm. 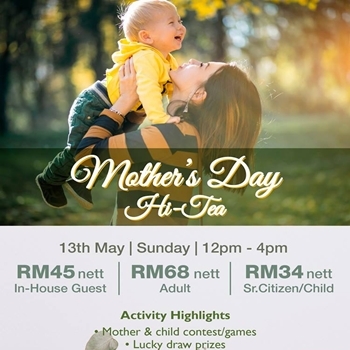 What’s Special: A special Mother’s Day Hi Tea full of activities such as cooking show, complimentary massage or flower making. Location: Lobby Level, Seri Pacific Hotel, Jalan Putra. Time: 13 May, 2018; 12pm – 4pm. 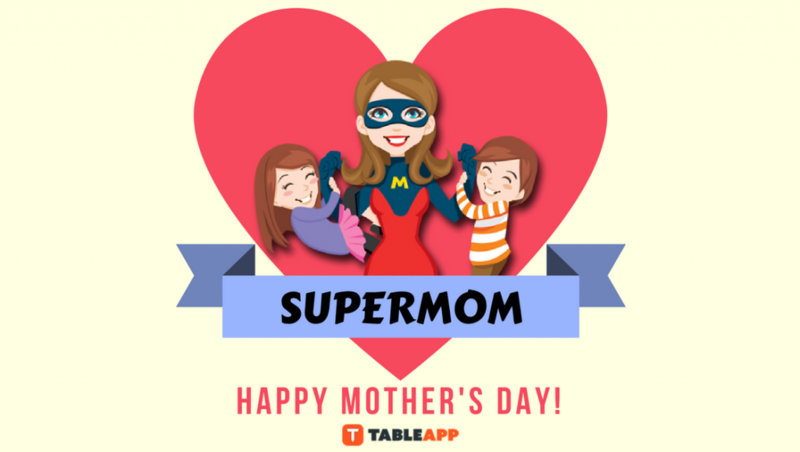 What’s Special: A chilling Hi Tea for your super Mom with fun mother & child games and lucky draw prizes. 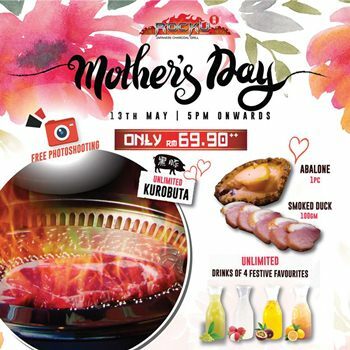 Location: Furama Bukit Bintang, 136, Jalan Changkat Thambi Dollah. 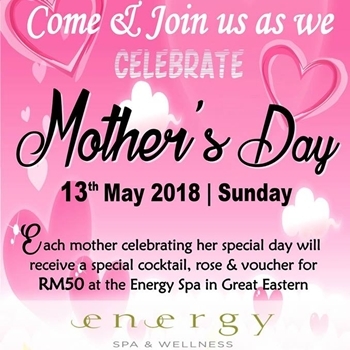 What’s Special: Enjoy this special day with great food and special cocktail, rose and Free Spa voucher for your Mom at Energy Spa. Location: Nihonkan, 347, Jalan Ampang, 50450 Ampang. Price: RM88 nett/adult; RM46 nett/child. 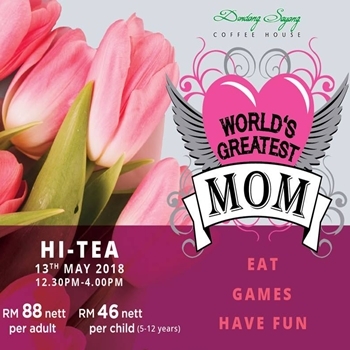 What’s Special: Treasure your Mom with a nice hi-tea, fun games, fun games, lucky draws and clown appearance for the whole family to enjoy! Location: Lobby Level, Corus Hotel Kuala Lumpur, Jalan Ampang. What’s Special: All mothers can savor Signature’s limited menu items for Free including Smoked Duck Aglio Olio, Pan Fried Salmon and more. (T&Cs apply). 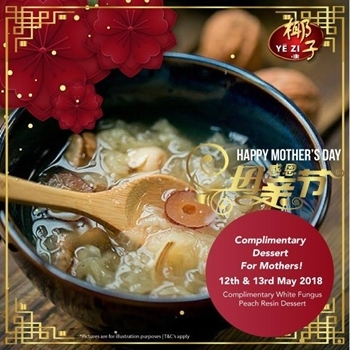 What’s Special: Savour the restaurant’s famous coconus-based broth and get a complimentary White Fungus Peach Resin Dessert for your Queen. What’s Special: A memorable buffet lunch for your awe-inspiring woman. Learn how to wear a Kimono and have the chance to win attractive prizes. 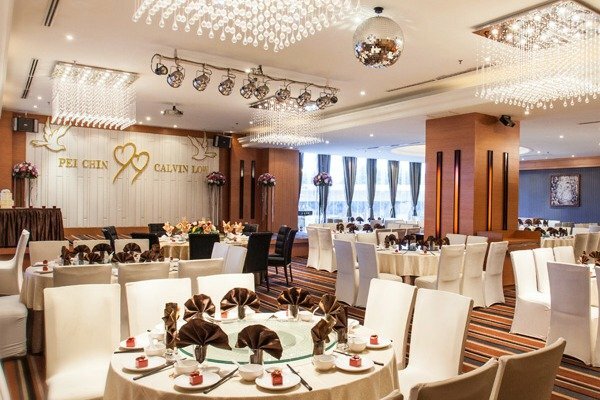 Location: Level 1, Hilton Petaling Jaya, 2 Jalan Barat, PJS 52. Price: RM128 nett/ adult for Hi Tea; RM140 nett/adult for Buffet Dinner. 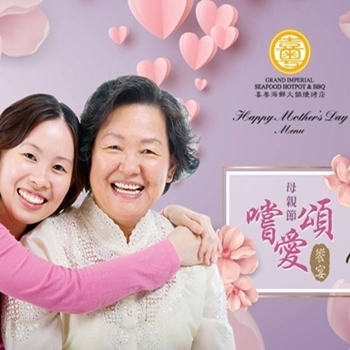 What’s Special: Special Hi Tea and Buffet Dinner will be held to honor your awesome Mom. Location: Level C, One World Hotel, First Avenue, Bandar Utama City Centre. Price: From RM688.00nett for four persons. 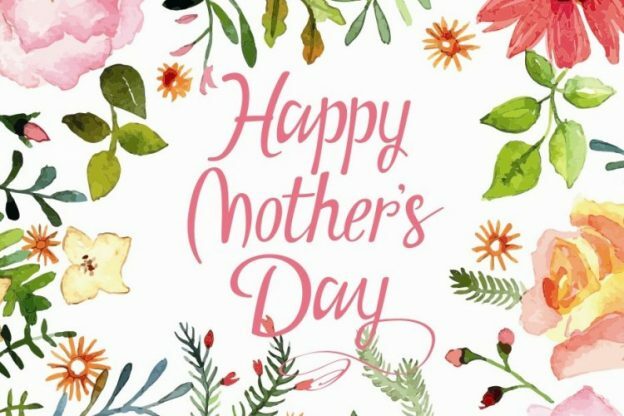 What’s Special: 3 special set menus for Mother’s Day for lunch and dinner including the Braised 18 head Abalone, Oven Baked Tiger Prawn. Location: Level G, One World Hotel, First Avenue, Bandar Utama City Centre. Price: From RM898 nett for 6 persons. Time: 21 May – 13 June, 2018. 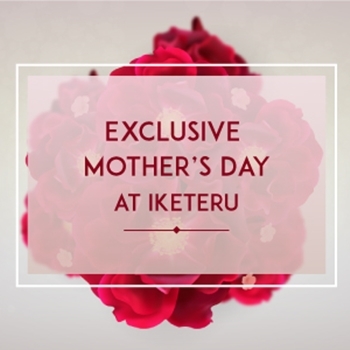 What’s Special: Have a Happy Mother’s Day Feast with professional live band performance, a lucky draw and sumptuous food. Location: Lot No. 2.171, 2nd Floor, The 19 USJ City Mall, Jalan Persiaran Kewajipan, USJ 19. 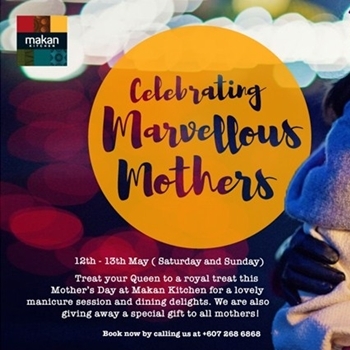 What’s Special: Experience exciting live-cooking stations with choices of Malay, Chinese, Indian and Peranakan dishes and get her a manicure session. Location: DoubleTree by Hilton Johor Bahru, No. 12, Jalan Ngee Heng, 80000 Johor Bahru. Price: RM150 nett for 2 persons. 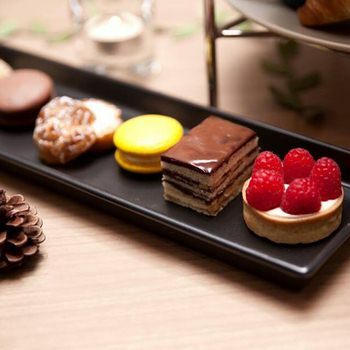 What’s Special: A high tea crafted exclusively by the restaurant’s culinary team with scrumptious savoury bites, desserts and sweets. 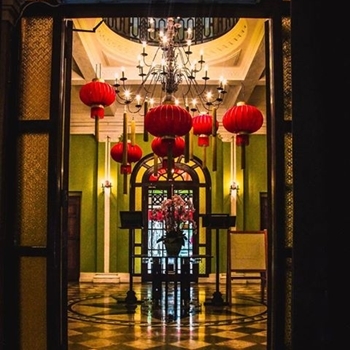 Location: Macalister Mansion, 228, Jalan Macalister, 10400 George Town, Penang. What’s Special: While savour fine cuisine and admire the beautiful scenery, your Mom will be surprised by a complimentary stalk of rose by the restaurant. Location: 32, Jalan Sultan Ahmad Shah, 10050 George Town, Penang. 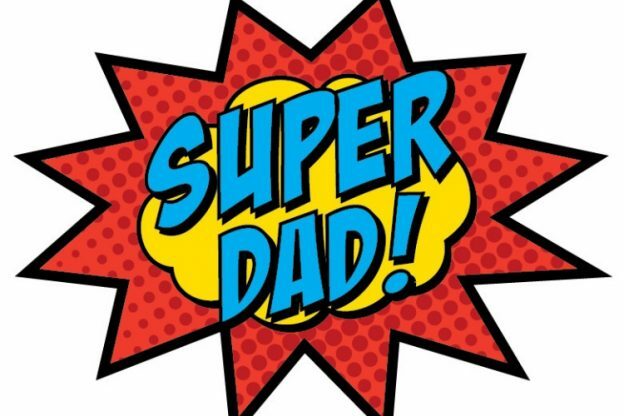 Be it a sumptuous buffet or set menu, make it a feast to all our Superdad! Celebrate Father’s Day with unlimited pork dishes and pair it with free flow Cava, red/white wines and beers at El Cerdo’s Sunday Buffet Brunch! In addition, on this special day, brunch diners can bring home a free miniature whisky and photo memento! What’s cooler and better? Fathers eat for free! Hurry up! Seats are limited. Available on 18th June. 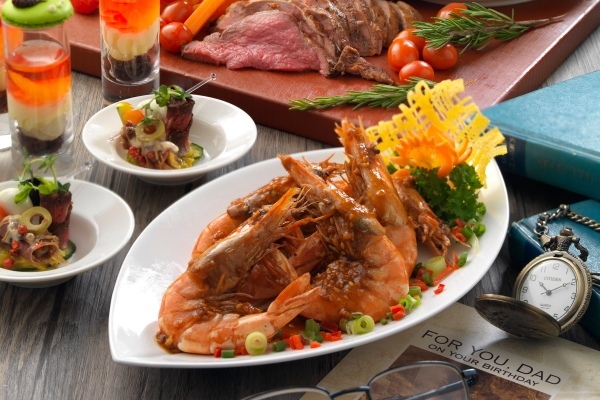 Buffet price from RM108++ per person. 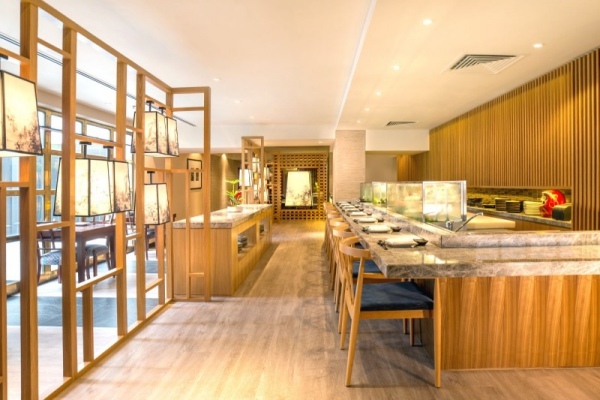 If your dad fancies authentic Japanese cuisine, celebrate your hero at Genji Japanese Restaurant, one of the top 10 Japanese restaurants in Petaling Jaya. The restaurant has several sections including a sushi bar, main dining space, two teppanyaki counters and six private dining rooms. On this Father’s Day, join their Father & Child Sushi making contest to win dining voucher worth RM150! Available on 18th June, 11:30am to 2:30pm. Buffet price is RM175 nett per adult, RM85 nett per child. Come celebrate daddy's day out with La Bodega’s special-curated "Daddy Big Brunch" that will surely delight all the big boys out there. Stand a chance to pamper your dad by winning an exclusive treatment voucher from Sothys, alongside a City Golf simulator voucher to soothe his swinging wishes. Available at all La Bodega outlets on the 17th and 18th June, 8am to 3pm. 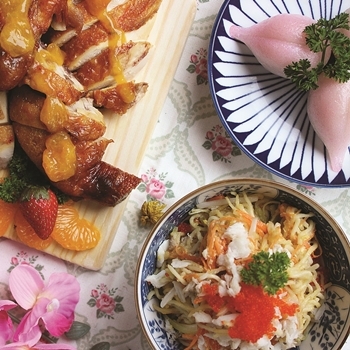 Enjoy a sumptuous 9-course feast of Chinese Cantonese delights at Grand Imperial Restaurant USJ 19 outlet till 30th June. Starting from RM688++ (5-6 pax) and RM988++ (8-10 pax), there are 3 different Parents’ Day special set menus for you to choose from, dishes including Steamed Dragon Grouper in Hong Kong style, Braised Whole Pork Shank with Mushroom, Braised Sliced 7 Head Abalone, and more! 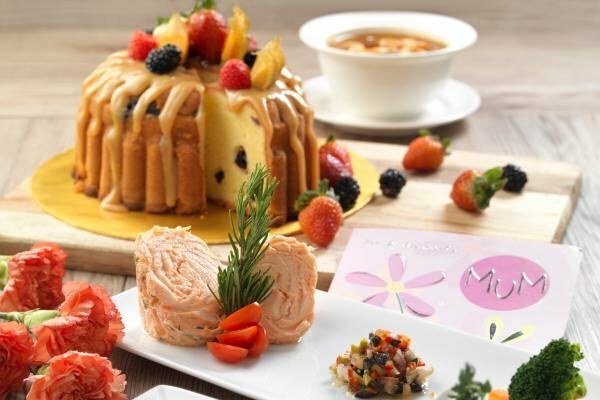 Head over to One World Hotel in Petaling Jaya for a Father’s Day hi-tea with a scrumptious spread of international and local delights that will certainly make the man of the house feel like a king. Indulge in delights including Basil and Mushroom Soup, Lamb Sausage with Potato Puree and Sweet Onion Sauce, Stewed Creamy Chicken, Sea Bass Fillet with Béarnaise Sauce, and more! Available on 18th June, 12pm to 4pm. 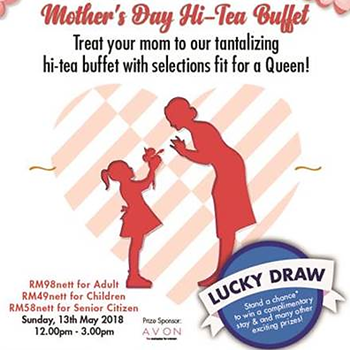 Hi-tea price is RM118 nett per adult, RM59 nett per child. 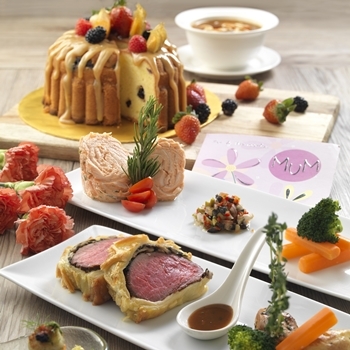 Make this Mother’s Day a special celebration with a gastronomic feast from Rose Wanton to buffets. Pamper the queen bee and set her taste buds tingling with anticipation! 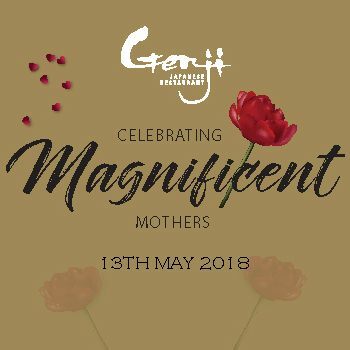 The culinary brigade of Cinnamon Coffee House at One World Hotel brings you a delightful Mother’s Day buffet dinner and hi-tea this 13th – 14th May. 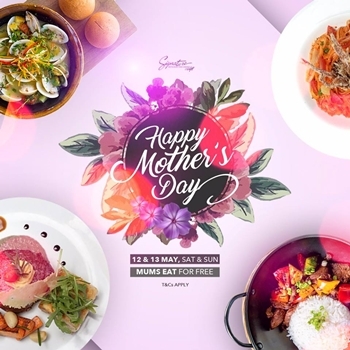 Pamper your mama with delicious Garlic Chicken with Honey and Rosemary Sauce, Sliced Beef Wellington with Café de Paris Butter Sauce, Seared Fish Fillet with Tomato and Olive Sauce, Braised Lamb Stew with Dried Fruits, Ayam Panggang Percik, and more. The buffer dinner is available on 13th – 14th May at RM137 nett per adult while the hi-tea is available on 14th May at RM118 nett per adult. 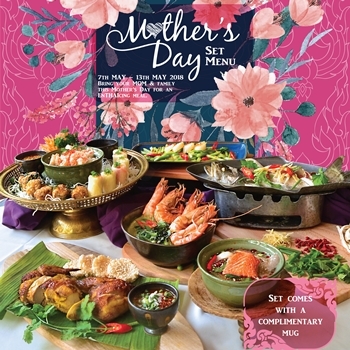 Embellished with contemporary Oriental elegance in upscale comfort, Grand Imperial Restaurant USJ 19 invites you to indulge in their Mother’s Day Set Menu on 14th May, from 7:30pm onwards. 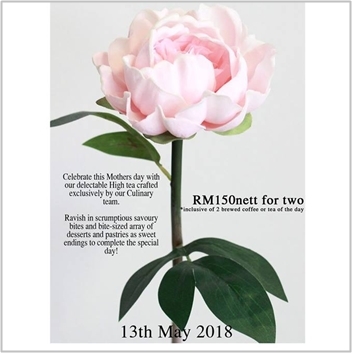 The Set Menu includes Steamed Giant King Grouper, Stir Fried Tiger Prawn with Special Sauce and Pineapple, Steamed Longevity Mini Bun, and more delicacies, at RM888 nett (for 5-6 pax) and RM1198 nett (for 8-10pax). There’d be live band performance and lucky draw on that night as well! 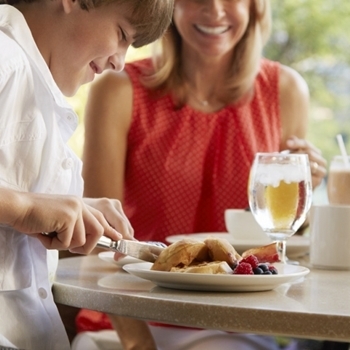 Surprise mum with a newly refreshed Brunch Menu at Graze on Mother’s Day, from 11:00am – 3:30pm! Dig into comfort food, sit back, relax and shower her with all your love. Do not miss the mango yoghurt, sautéed tiger prawns, warm apple and raisin crumble tart. What’s better? Mothers will also receive a Spa Treatment Voucher from The Spa & Gym! 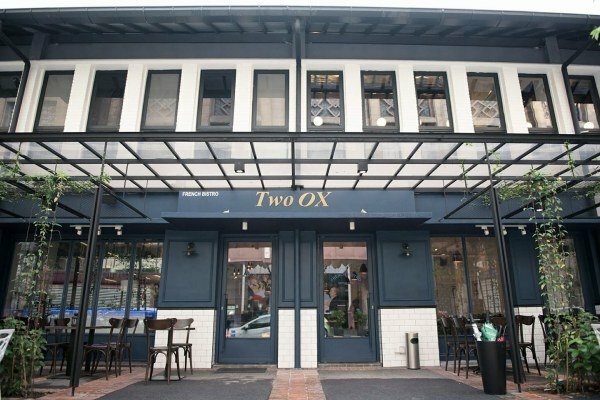 2OX brings French chic to your Mother’s Day celebration, with classic bistro favourites and exciting wines at reasonable prices. 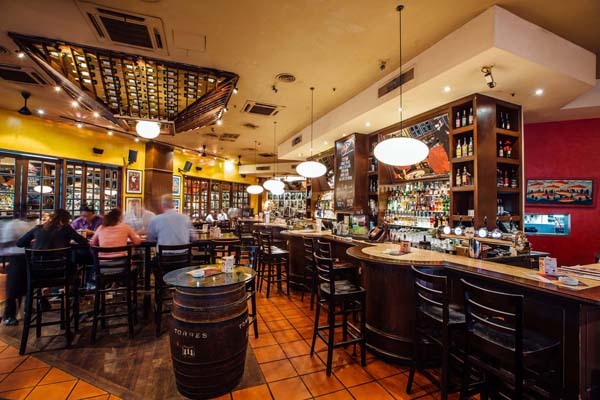 Feel transported to a Parisian cafe, where the atmosphere is relaxed and informal, the interior is comfortable and the service is warm and friendly. On the 4-course Mother’s Day brunch menu we spot Smoked Salmon and Quinoa Salad, Braised Black Angus Beef Cheek, and more French delicacies. Menu is available at RM88++ per person or top up to RM120++ per person to enjoy a glass of wine. Way Modern Chinois in Damansara Heights is a classy, sensual avant-garde modern cuisine restaurant specializing in contemporary Chinese and Asian cuisine. 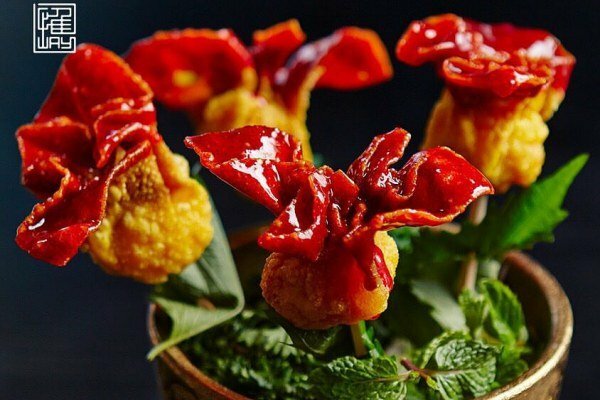 Be very delighted by their Rose Wanton, a very creative and pleasing approach on fried dumpling with a delighting modern twist. Hint: The entrance of the restaurant is a unique lift door!